This listing is for a print that is matted, not framed. Picture shows frame as an example of how it could look. 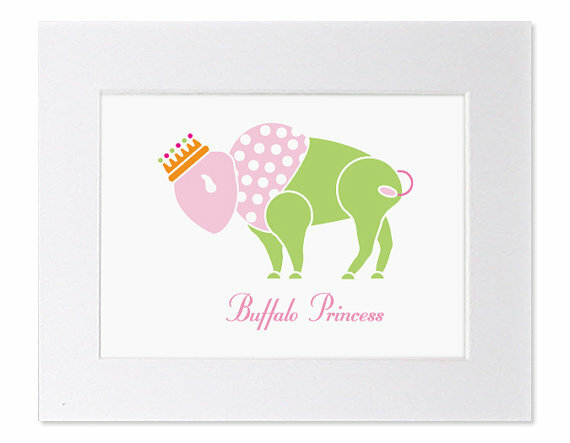 Looking to decorate your little princess’ room? 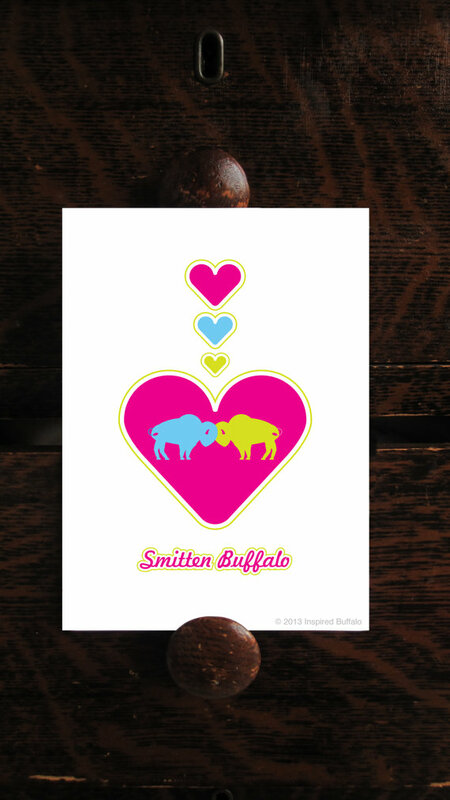 Here is a sweet art print that shows off your love for buffaloes or the cit of Buffalo — as well as your love for your princess. Prints are signed and numbered. There is also a back matte board attached. It comes wrapped in plastic sleeve to protect the print. 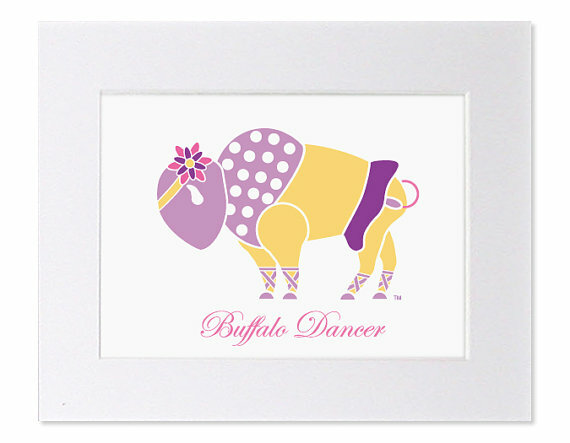 Be the first to review “Buffalo Princess Matted Art Print” Click here to cancel reply.